For many people, the eco-friendliness of public transportation is far outweighed by the inconvenience and the rather unpleasant factors inherent in riding a bus or train with a ton of strangers. Public Transport 2020 is a fun concept that would solve many of these problems in a stylish and – dare we say – almost enjoyable way. 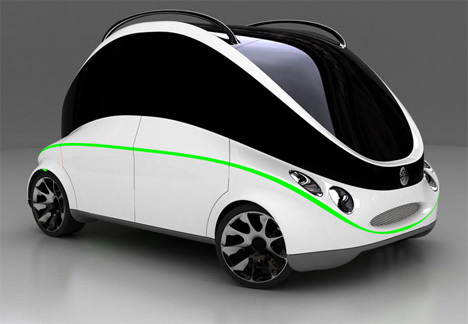 Designed by Slovakian designer Marcel Zuziak as his university thesis project, the Public Transport 2020 system would consist of a whole fleet of fully-automated electric cars. Passengers would only need to hail one, presumably from a mobile phone or computer, and step into a private car. Each car is linked to a city-wide intelligent navigation system. After entering their desired destination, the passengers would be whisked away to wherever they need to go. Because there is no driving required, passengers would be free to read, catch up on work or even take a nap on the way. 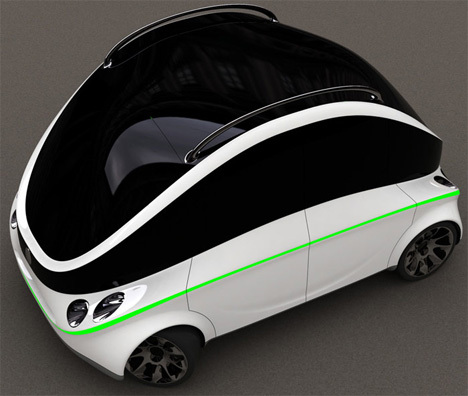 The cute little robot cars could hold up to four passengers, so group trips or carpooling would be just as simple as in a personally-owned vehicle – but loads cheaper.